The gold standard in goods to person delivery for high-speed order fulfillment and high-density storage. Easily configurable custom inventory management hardware and software solutions for full case or broken case picking. Ideally suited for E-commerce applications. 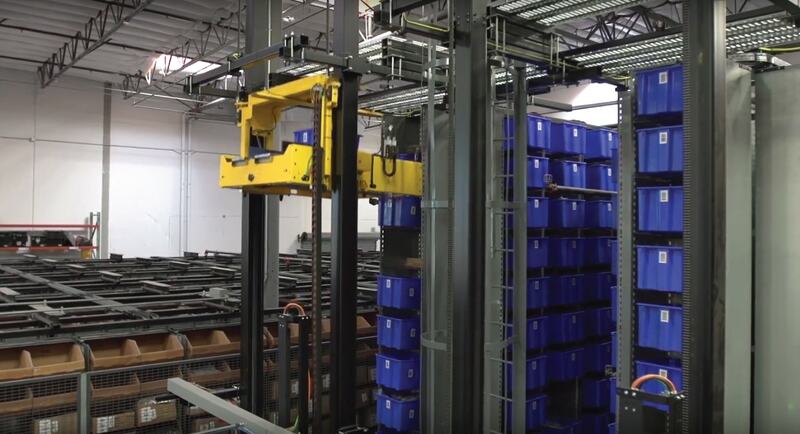 Since we installed White Systems Horizontal Carousels and StorBot Robotic System, which seamlessly integrated with Intek’s Supply Chain Execution software, we’ve been able to increase efficiency and, more importantly for our customers, accuracy. We have been very happy using White’ horizontal carousels and VLM’s for over 8 years now. We depend on them daily in the processing of our critical orders that have to meet an unyielding same day shipping deadline. Not sure which storage solution is right for you?